We at New Breed Marketing are aiming to create “the most technically advanced and innovative B2B marketing and sales company in the world.” One of the ways we are working to achieve this goal is with our strong team of bright and savvy inbound marketers, who understand the ever-changing buyer’s journey. Successful marketing can seem intimidating; from creating a B2B friendly blog to writing the ultimate B2B case study… There are many steps to consider before becoming a successful marketer. One thing that doesn’t need to be complicated is the B2B buyer’s journey. As a marketer, your ultimate goal is to understand the consumer and market efficiently and effectively. A successful marketer will have a clear grasp on consumer’s habits and methods of purchasing before they begin to market their own product or service. You may already know that every buyer’s journey begins with identifying a problem that needs resolving. From a product malfunction to a new trend that is in high demand, businesses can all identify a need their customers and prospects are looking to fill and how their product can be their solution. Once the problem has been established, businesses should develop specifications to solve the problem, and search for possible products or suppliers that will resolve the issue. During the research process, businesses can evaluate the quality of the product, contact suppliers, and check on availability, etc.The research step is a great way to take a look at hundreds of options, while simplifying the best results to fit your needs. During this time of the buying process, it would be in the consumer’s best interest to interact with you sales team to learn more about the product. This is also a perfect time for your sales team to present free samples and demonstrations (if this applys to your product set). Buyer’s are going to be more attracted to products or services that offer incentives, so it’s a great way to up-sell what you're offering without seeming too aggressive. Once all of the information has been evaluated, it's time for the buyer to select the product / service and make the order. As a business, you must be cautious during this step because this is the time where the sale can go very wrong. Some believe that just because the order has been made the sale is closed and over, right?... Wrong. After the purchase has been made, consumers sometimes go through a stage of the buying process called cognitive dissonance, also known as buyer’s regret. The consumer begins to question their decision and can often be disappointed with their purchase. This is why your team should be available and eager to talk to any buyer about their purchase in order ensure confidence in their decision. Often times, this is where sales enablement tools can really help arm your sales team. If your sales team did a successful job of making the consumer feel confident in their purchase decision, the evaluation process will be simple. Future buyer’s can then evaluate past feedback and the success rate of other purchase. Understanding the stages of the B2B buyer’s journey and offering excellent customer service is the key to successful marketing and selling. 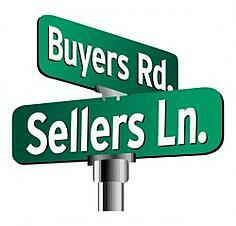 If the seller understands the purchasing process they have a better chance of higher sales and customer loyalty!